Initially published on INsite magazine. Anne Maree Court is celebrating a milestone with one of its very own staff being the first to complete a Careerforce business programme. 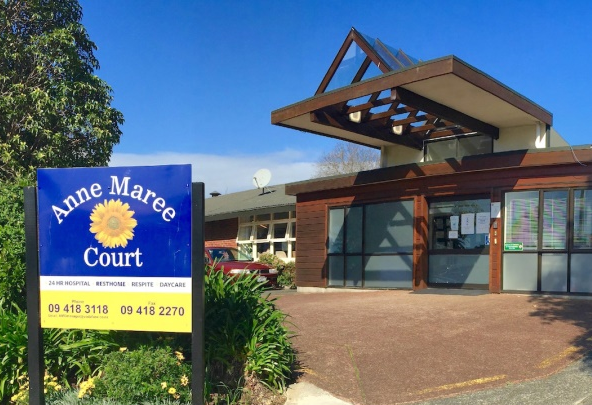 The Auckland retirement home is part of the Anne Maree Group of rest home hospitals. Anne Maree Court manager, David Halewood, is excited to have one of his own team be the first to complete any of the Careerforce business programmes. “We were approached by Careerforce about the New Zealand Certificate in Business level 3 earlier in the year. We identified receptionist Robyn Russell as an ideal candidate for the course. The Business Level 3 qualification is just one of a series of brand new business programmes ranging from Levels 3 to 6, that Industry Training Organisation (ITO) Careerforce, launched during 2017. These programmes were developed in conjunction with the health, wellbeing and hygiene sectors, and designed specifically for the needs of these sectors. According to Gill Genet, General Manager for Business Development at Careerforce, “office administrators and reception staff can often be overlooked when considering training and development. This programme seeks to respect and recognise these employees, to expand their knowledge and skills within their role and support them to achieve the level 3 business qualification”. According to Halewood, “The Careerforce training has helped us ensure we deliver high quality care to the elderly people under our responsibility. The workplace training provides authentic real-world skills which are validated in practice every day. Our philosophy running through the organisation is that everybody reaches their full potential. That’s everyone right from the residents to the staff. “It’s really encouraging to see Careerforce programmes evolve and for us to see the newer courses that come out for trainees to take part in each year. Looking ahead, I can see that other members of the team could find benefit from this and the other level business programmes.